Business Day, a leader in the Nigerian press, has published details about a US$1.1 bn set of loan agreements signed recently with China Eximbank. This information has all the hallmarks of accuracy, including information about the signatories of the agreements and, more importantly, their actual terms. Several things are interesting about this for watchers of China-Africa finance. 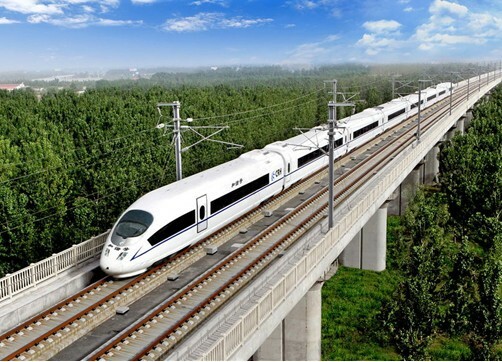 First, $500 million will go to one of the projects, the Abuja light rail system, which is already 25 percent complete (by China Civil Engineering Construction Corporation, CCECC). According to one report, construction allegedly began in 2006. Chinese finance for the light rail has been under discussion at least since then. A 2008 World Bank study of Chinese involvement in African infrastructure, Building Bridges, listed the Abuja project in its list of "distressed" Chinese finance commitments more than four years ago. It's not clear whether there was ever a firm, signed commitment to finance the Abuja project before now. In any case, no Chinese finance arrived. And the World Bank study also listed China Guangdong Xinguang International Group as the contractor, with the project's total costs at $2 bn (Chinese finance was said to cover half of that). This current project is expected to total $800 million. Are these the same project? If so, why the contractor switch? Second, as Business Day notes, "the terms of the facility are concessional, with 20 years term and seven years grace at 2.5 percent [fixed] interest." China Eximbank can provide either concessional loans (you hui dai kuan) or preferential export buyer's credits (you hui mai fan xin dai) or regular export sellers or buyers credits (these are generally at LIBOR-plus a margin). These terms are a bit higher than recent concessional loans to some other countries, which tend to be at 2 percent, but the 20 year term reflects normal practice for the concessional loans. Preferential export credits tend to be shorter term (around 15 years). Since the preferential export credit office was merged with the concessional loan office several years ago, it's not clear how separate these instruments are in China Eximbank's practice. The subsidy for concessional loans comes from the foreign aid budget (and makes these loans parallel to ODA). The subsidy for preferential export credits comes from another budget (and as export credits, these loans would not qualify as ODA, no matter how concessional). Nigerian readers: what's the back story here? A hat tip to CCS (the Stellenbosch-based Centre for Chinese Studies) Weekly China Briefing. CCECC was awarded this contract in 2007, but didn't start construction until 2009. As far as I know, until now there has been no firm external financing commitment, and it was being paid for out of the national budget (and proceeding very slowly). In 2011, the allocation was reportedly slashed by 80% in the national budget. In early 2012, Nigerian Minister of Finance Okonjo-Iweala led a delegation to China 'shopping' for $3billion in concessional and commercial finance for a selection of projects (including Abuja light rail as well as the 4 airports and Galaxy project that make up the rest of the 1.1bil loan package from Exim). This was an attempt to 'systematise' China-Nigeria finance for priority projects. They announced they were seeking funding from multiple sources at a total rate of less than 3%. She signed the MOU for this Exim financing package then. CCECC has always had this contract (and are also subcontractors on the Lagos Light Rail project, which is a commercially financed PPP). The GDXG reference likely has to do with a 2006 MOU signed for $2billion in assorted infrastructure projects. This never went anywhere, GDXG instead invested in the Ogun-Guangdong zone, which is their only current project in Nigeria to my knowledge. Thanks, Nikia, for this clarification. It's really interesting that this project and its associated finance have been included in estimates of Chinese finance in Africa for maybe five years ... when, until now, there was not actually any finance committed! What is important is to get the project started, and finished. Nigeria is in need of a lot of infrastructure project. I am a Chinese with companies in several countries - including Nigeria - and I have to say that while Nigeria does have the potential, the infrastructure and the rampant corruption in the country has severely hampered its development. Coupled with the power-crazed politicians who would do _anything_ to attain power, including inciting violence (Boko Haram comes to mind) - frankly, unless there is a drastic change, I do not see any light at the end of the tunnel, for Nigeria. Forgive me of remaining Anonymous because I do not want my business to be targeted by Boko Haram or one of their many offshoots. Yes, a technology transfer, on railway technology, to Africa. Something that can help Africa to be self-sustaining and not depending on others.